Four new smartphones has recently been annouched by the Chinese phone makers and the new devices sit between the mid premium. 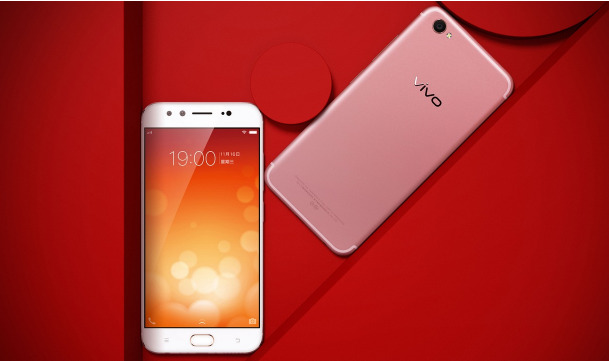 The Vivo X9, V5 and Xplay6 were announced featuring a price between CNY 2,798 (about Rs 27,656), CNY 1820 (about Rs. 17,980) and CNY 4,498 (about Rs 44,459) expected to be available in Gold and Rose Gold colors. The X9 is coming in two options, the first featuring a 4G Ram and 64GB storage with a 3050mAh battery capacity, while the Plus features a 6GB Rm, 128GB storage and 4000mAh battery capacity, the both feature a Dual 20MP + 8MP camera front facing camera, powered by Android 6.0 Marshmallow and supports Fingerprint reader. The V5 is a middle range device with a 4GB Ram size and 32GB internal storage. It features a mega 20MP front camera with moonlight flash with its fingerprint sensor embedded at the home button. It is packed with a 3000mAh battery capacity and supports OTG cable connection and Dual 4G LTE SIM card. The X6Play is powered by a Qualcomm Snapdragon 820 chipset coupled with 6GB RAM and 128GB of internal storage. Featuring a single 16MP front camera and Dual back camera of 12MP + 5MP back camera and powered with 4080mAh battery capacity. The X6Play is the most expensive of among the new Vivo smartphones while the X9 Plus price tag is yet to be released.